A system integrator in the education industry builds classroom video recording and streaming platforms. To meet the needs of off-campus and remote campus students, classes must be both streamed to the schools website, and recorded to a storage server. Various specific requirements complicated the project, such as multiple SD and HD video inputs, and the need for live video streaming. A further challenge was the need to control SD cameras to track a teacher’s movements around the classroom, and HD cameras for both capturing the teacher’s lecture and student involvement. Not only were multiple capture cards required, but cards with particular specifications, which would help relieve the processing burden on the computers in which they were installed. It was difficult to find a solution for such a sophisticated environment. Using several different hardware and software components creates compatibility challenges, and requires an impractical amount of space. A multiple input solution without the need for numerous PCs or platforms, could not be found. The client needed a single video capturing solution which would fit within existing space limitations, involving full HD video capture cards, and providing video streaming services. To capture video from nine different cameras (one of them in motion, tracking the teacher around the classroom), would involve classroom PCs to be equipped with video capture cards. The solution required one platform with multiple video capture device support, multi-application preview, and driver customization. A single system and platform would avoid integration problems between multiple hardware and software components. Reliable technical support was essential. AVerMedia assessed the situation and recommended the best solution. One C353 video capture card was used to process and recorded content from the classroom’s computer. Five CM313B video capture cards were used to capture video from the classroom cameras, including the camera controlled with motion detection software to keep the teacher in screen. One C351 video capture card was used to capture video input from several composite cameras. In addition to controlling classroom elements, this also helps the system to control the HD camera following the teacher. With the video received from these four cameras, the system calculates the location of the teacher and controls the HD camera to ensure the teacher is in frame at all times. 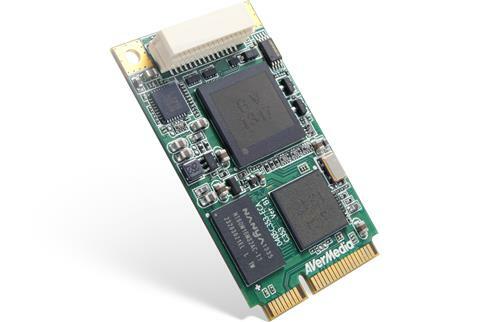 AVerMedia’s integration of the system components ensured component compatibility. 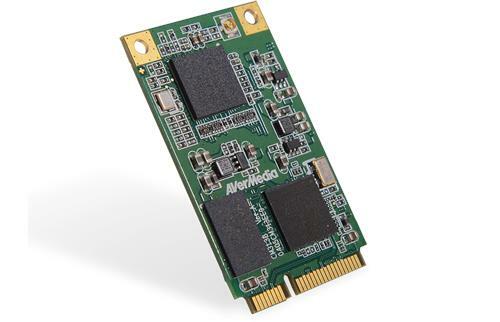 All the AVerMedia video capture cards used were mini PCIe cards, ensuring the solution was well within the client’s space limitations. 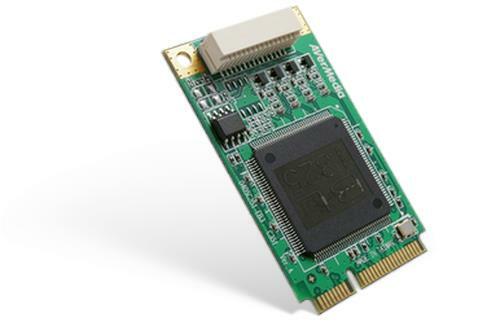 The cards also met the client’s need to capture composite, VGA, and SDI video input. The C351 is able to capture multiple inputs simultaneously, reducing the number of cards needed in the system. AVerMedia provided customized drivers that helped reduce the CPU loading and provided a number of additional features. The result of the integration of the video capture cards with their platform and software was a robust, powerful and stable classroom recording and streaming system, with optimized great video quality and performance. The system allowed the client to record the classroom lecture and content for after-class review or test preparation, as well providing live streaming of the same lecture for viewing by students that were not able to physically attend the class, or viewing by groups of student from other campus, who were thus also able to receive important lectures. The solution was cost effective and occupied a small physical footprint. Driver customization to optimize the system, and reliable ongoing customer support, highlight the value of AVerMedia professional services.